Light oily film on the air filter may be a result of complete pollution of the air filter or significant pollution of the crankcase ventilation system including pipes, oil separator, oil separator screen, valve of the crankcase ventilation system. Severe pollution of the air filter element and presence of oil in pipes and the air filter pan is a result of high pressure of crankcase gases due to the wear of parts of the cylinder-piston group. 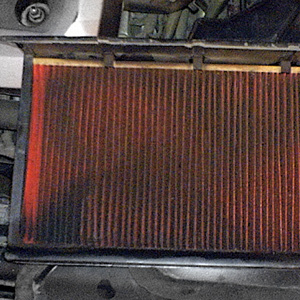 Presence of the light oily film on the air filter may mean pollution of the engine lubrication system or complete contamination of the air filter element. In the latter case, the air filter should be replaced. If the lubrication system of the engine is polluted, it is recommended to use VitaFlush cleaner before oil change (introduce the product into the old oil and drive 700 – 1000 km). Then the motor oil should be changed together with the oil filter. 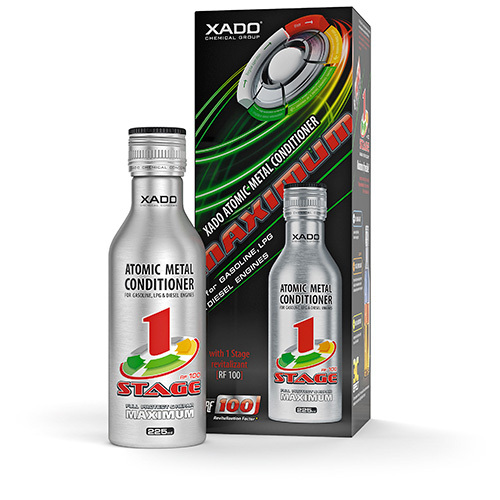 By introducing XADO VitaFlush product by each oil change you will help the engine and the crankcase ventilation system to stay clean. If severe pollution of the air filter and complete contamination of the crankcase ventilation system are caused by critical wear or destruction of parts of the cylinder-piston group, the engine should undergo complete repair. 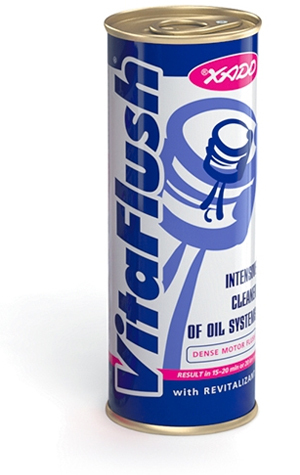 VitaFlush Cleaner is designed to clean oil system of the fuel and diesel engines of all types (including the turbocharged engines) and transmission units. 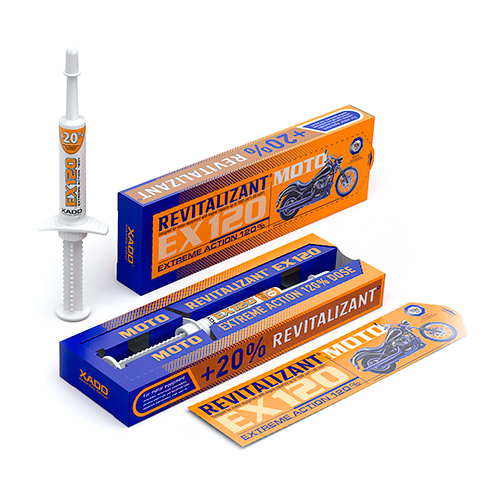 Completely cleans all deteriorations, resinous sediments and removes it with used oil. 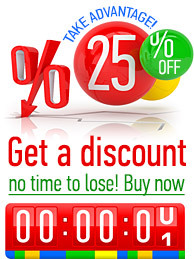 Due to Revitalizant® restores up to 70% of lost metal. 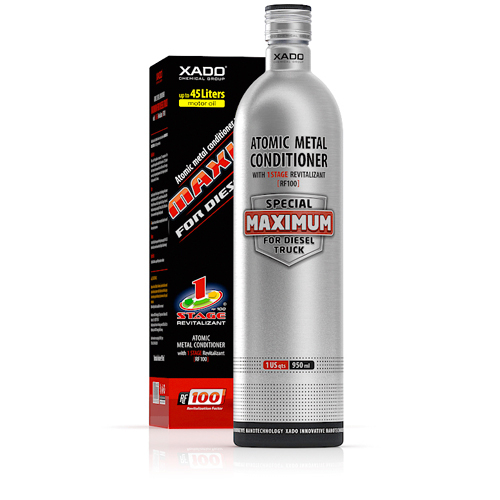 It applies during the oil change as a prophylactic for cleaning and protecting from wear-out. 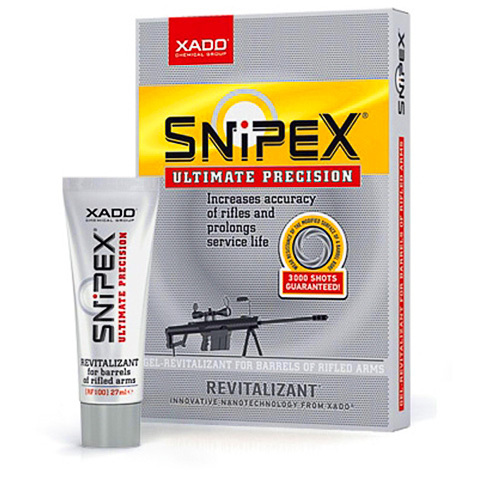 Also it can be used as adaptive cleaner after changing the oil of a different viscosity (i.e. from the mineral on synthetic) or manufacturer.